Please fill this form before attending trials. All trial information is provided within the link. Available at Te Rapa Sportsdrome and Karapiro Beach Courts, $2 per session – check out the 2 flyers below! 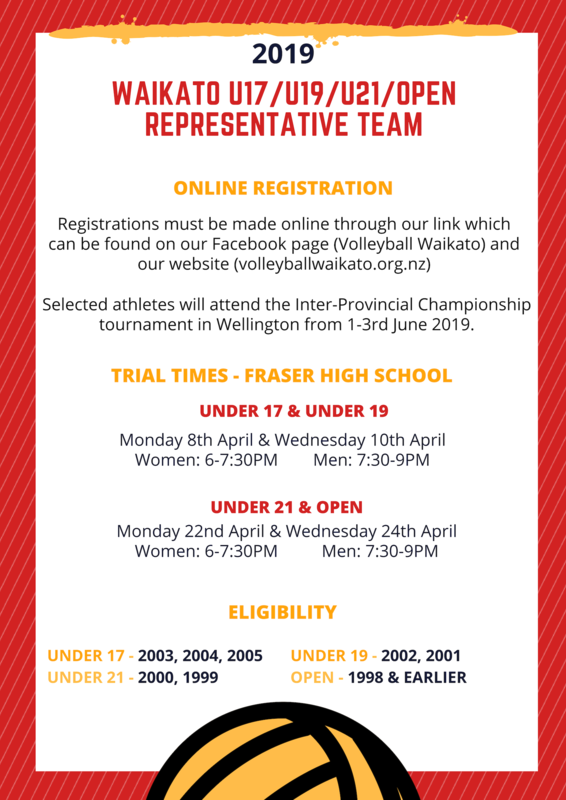 Waikato Junior Schools (Years 9 & 10) competition runs from mid September on Thursday nights at The Peak, Rototuna High Schools. Waikato Senior Schools competition starts with an open warm-up tournament on Saturday 9th February, followed by 5 weeks starting on Saturday 16th Feb, at the Peak, Rototuna High Schools. There are two Hamilton Social Competitions. From beginners to ‘guns’ – 6 or more players/team. More details available here. 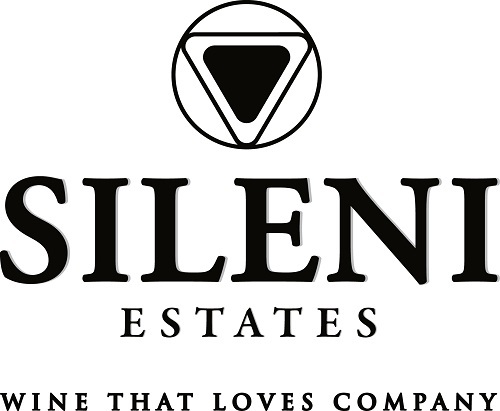 Sunday evenings (Hillcrest) – every school term for 6 weeks. 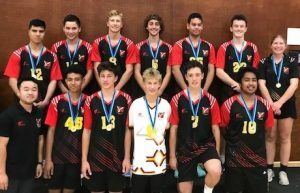 Hamilton Volleyball Club enter several Men’s and Women’s teams in the Northern Zone and Midlands Leagues during the winter season. 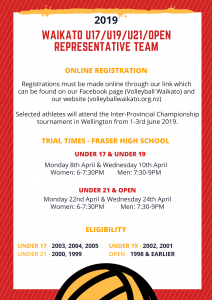 Waikato Association runs the Waikato Volleyball League for mens’ and womens’ teams from both clubs and senior schools. This is currently running on Friday nights at Hillcrest High School. Graded 4-a-side social beach competition for 6 weeks in school term 1 and 4 at Te Rapa Beach Volleyball Courts. Cost is $80 per team ($60 for school teams). Next Start date TBC.